KowCast Ep 41 – Diamond Retailer Summit 2018 – Kow Cast! Your Kowabunga Comics Podcast. 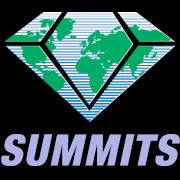 Eric and James sit down to talk about the 2018 Diamond Retailer Summit ahead of the C2E2 conventions in Chicago, IL. Hear as the guys break down the activities of the day, including the DC and Marvel panels, as well as some smaller publishers making good waves … and perhaps some controversy?